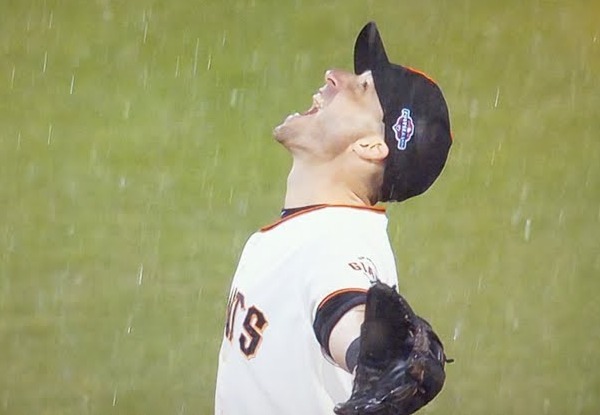 With the baseball season officially over, a lot of baseball fans are left with a giant hole in our lives. But don’t fret, there is a light at the end of the tunnel. 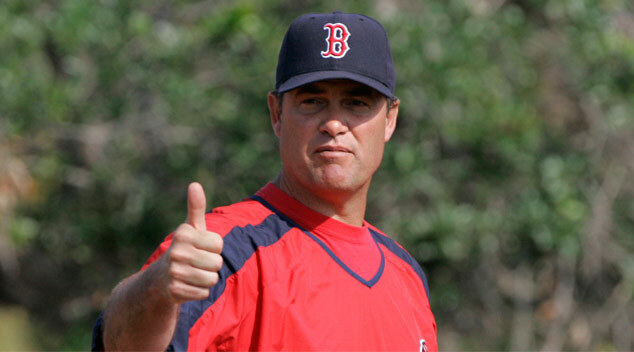 Headed our way soon will be the Hot Stove season, where teams wheel and deal to improve their teams odds in 2013. Until then, some notes to tide you over on Halloween. No longer on borrowed time! I hope no one blinked during the World Series; if you did, you missed it. Four games is all it took for the San Francisco Giants to make quick work of the Detroit Tigers. Coming off two thrilling comebacks in both the LDS and LCS, the Giants roared into the Fall Classic and finished off their miracle season. It’s really pretty simple how they did it. They out-pitched the Tigers, out-hit them, and just flat out out-played them. I don’t know if the layoff hurt the Tigers, or if the Giants were just the better team. Actually, I think it’s the latter. As a Royals fan, I watched the Royals play the Tigers close to twenty times this past season, and I was never overly impressed with Detroit. Sure, they have Verlander and Cabrera, and Doug Fister(you just got Fisted!) had a good second half for Detroit out of the rotation. But their defense was awful all year, and the offense was really streaky. Sure, Detroit had a good season. But at the end of the day, the Tigers didn’t really grasp the AL Central till late in the season, they were pushed hard in the Oakland series and faced a struggling Yankees team in the ALCS. I probably could have named three other National League teams that could have beat the Tigers. I’m not trying to disparage Detroit, just saying that they never seemed like a World Series team to me. Big congratulations go out to the Giants and great to see a bunch of players who are confident and quirky. 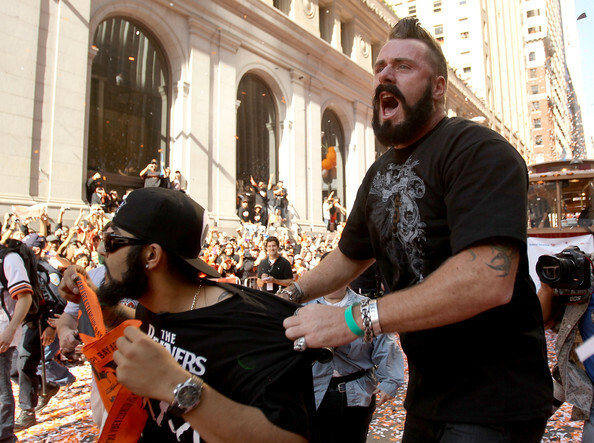 Bruce Bochy has taken this team of weirdos and molded them into a championship team. If I was GM Brian Sabean, I don’t change the nucleus of this team. This is a team that could be back in this spot next year. Last night the Gold Glove awards were announced, and Kansas City Royals star Left Fielder Alex Gordon came away with his second consecutive award for defensive excellence. To be honest, I couldn’t care less about this award. Sure, I totally think Gordon deserved to win. But anymore, this award is not voted for defense as much as for offensive AND defensive excellence. Sure, voters can say it isn’t, but offense is taken into consideration way more than they should. Look at someone like Brendan Ryan of the Mariners. Ryan barely hits over .200 most years, but keeps his job because of his sparkling defense. Yes, his defense is that good. The truth is Ryan will never win this award because he just doesn’t hit enough. I just wish MLB would just be honest and admit this award is not for just defense alone. Hit good and play solid defense and you too could win a Gold Glove. No Gold Glove, but M-V-P? Soon the other awards throughout Major League Baseball will be announced, including American League MVP. Yes, that debate will heat up again. Miguel Cabrera of the Tigers ended up being the first Triple Crown winner in baseball since 1967 while Angels Center Fielder Mike Trout put up ridiculous numbers for a rookie. This debate has mostly split two sides of baseball, the old guard and the new guard. If you are someone who loves stats of all kind, including defensive, then Trout is your probably your man. If you look at getting your team to the playoffs and making baseball history, Cabrera is your guy. I’m still split, as I do understand what Cabrera has done this year and how special that is. But I also think Trout is about as special as they get, and his numbers stand out even more when you consider he was in AAA for the first month of the year. Defensively, Trout stomps Miggy, and Trout’s WAR is 3.8 higher than Cabrera’s. Yes, it is a lot of numbers to digest and it’s hard to argue with either choice. But if I had to put my money on it, Cabrera comes out the winner. But a part of me really believes the award should belong to Trout. Either way, we the fans win. Finally, it is a bad kept secret that the Kansas City Royals are looking to upgrade their starting rotation this offseason, even if Dayton Moore seems to not be(or not able to) bumping up the payroll. If the Royals are looking to veer outside the box when looking, Brandon McCarthy might be an interesting option. 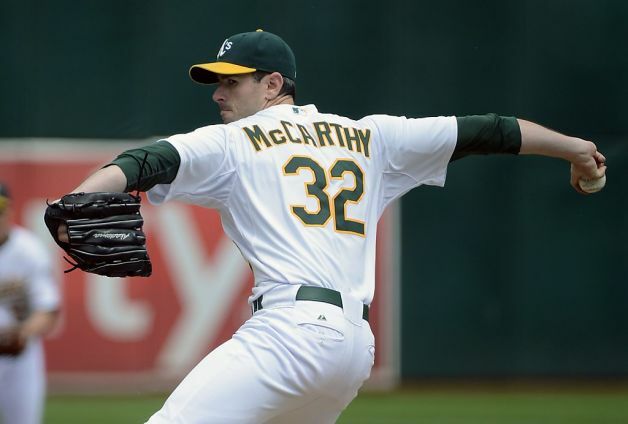 McCarthy had a good season with Oakland in 2012, even if injuries limited him to only 18 starts. His ERA was 3.24 with a WAR of 2.0 and a strikeout to walk ratio of almost 3 to 1. His last two seasons in Oakland have been his best in the majors and he won’t be turning 30 until July. The price for Brandon might not be as high as well, since he is coming off of a major head injury(and last I checked, brain surgery was considered major). McCarthy was hit in the head from a line drive late in the season and had progressed enough from the surgery that Oakland was ready to activate him if they had advanced to the ALCS. He’s also had shoulder issues over the years, but McCarthy might be a risk worth taking. Maybe a smaller contract loaded with incentives? Sounds like the kind of deal Dayton Moore would love. If Moore is serious about getting creative this offseason, then McCarthy might be a good option. He can’t be any worse than some of the options we have now(paging Hochevar, Luke). I just need to vent real quick. 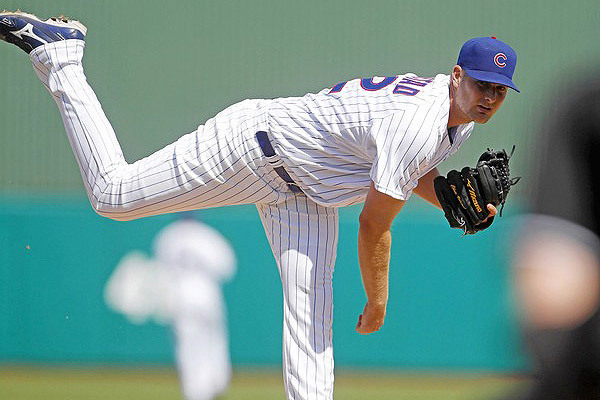 Earlier today, the Kansas City Royals claimed pitcher Chris Volstad off waivers from the Chicago Cubs. Volstad didn’t have a great year last year, but my gut tells me the Royals signed him more because of his potential, which is fine. This signing is okay as long as he is used next year as either a reliever or an emergency starter. If he starts over 15 games next year…well, if that happens there is a good chance the Royals are in trouble. 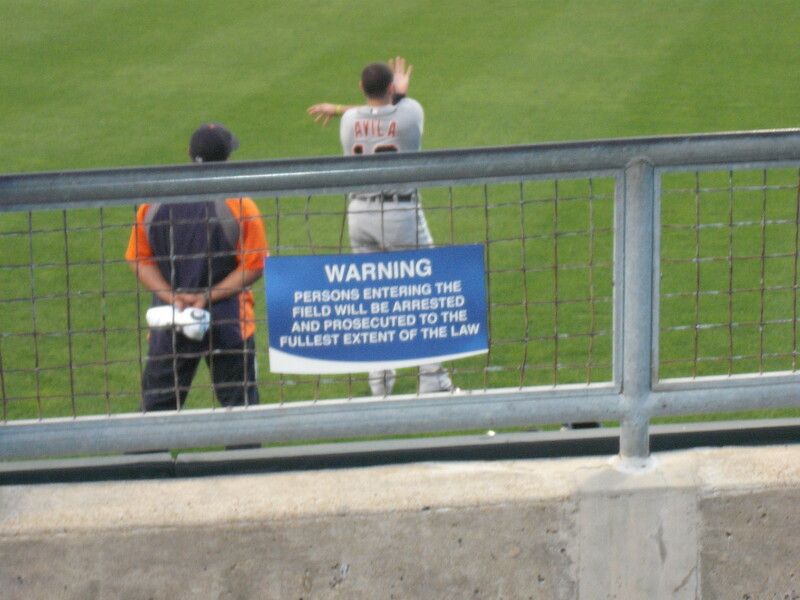 But it wasn’t the Volstad signing that bothered me. It was the comments GM Dayton Moore made after the signing. So lets pick apart what Dayton is saying and why it is so distressing. This is Dayton alluding to the Royals being a small market team and how they can’t spend as thrifty as the big dogs in baseball. It’s true, but it almost reads like we as fans shouldn’t expect much this offseason. As in “no big catch on our fishing line”. I totally think this is Dayton preparing us for them to not sign a Zack Greinke or Anibal Sanchez. I can understand this to a degree, but I would rather have a GM who is confident and doesn’t use a team’s limitations as an excuse. Of course Moore is talking about Volstad here. I have no issue with the Royals signing guys like this. It is a necessary evil in baseball, just in general. But doesn’t that read the same as if he was talking about Luke Hochevar? Shouldn’t you be fixing the first Hochevar you have first before taking on another Hochevar? and do the Royals get a discount for having two Hochevar’s on their roster? BOGO anyone? I actually agree with Moore here. I think the teams needs to really look for trades this offseason rather than on the free agent market. I’ve written before that Tampa Bay would be a good partner. But as a small market team, you need to have an open mind and keep all options available. The Royals won’t be able to go out and sign a major name, but they can still make a splash in the free agent pool if David Glass is sincere about spending the dough. Depth is good. 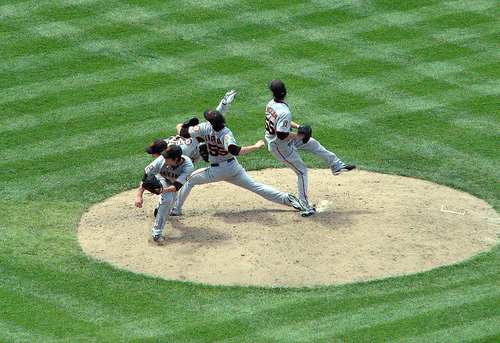 Bring as many pitchers to camp to compete as you can. Just don’t break the bank on lesser talent players. Spend money accordingly. Although, if there is a pitcher out there that you can get at a good price, the Royals should pounce. What if Greinke or Shawn Marcum would take a hometown discount? You can be crazy without anyone checking you into the nuthouse. “He’s healthy and still young,” Moore said. 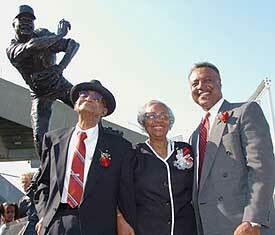 “He broke into the major leagues when he was very young. He’s had some success, but it’s mostly been down lately. Alright, this is where I have a problem. Look at that last line. I’m sorry, that is just stupid thinking. You CAN get players on an upturn. You’ll have to either pay the money or trade talent for them, but like I have said ad nauseum, to get talent you must trade talent. If all you acquire are guys who are at the downturn of their careers, then that will be all you have; players at the downturn of their careers. Yes, some will pan out and improve. But the chances of that happening are slim and none. I’m sorry, but making such a ridiculous comment is insane and makes me think the sooner Dayton is fired, the better. I get that the Royals are not going to be a financial monster. But neither is Oakland’s Billy Beane and look what he does year after year. Dayton just seems like he can’t be creative or isn’t even willing to try. Maybe it’s just me, but I think having some of these “upturn” players would help Kansas City. It’s like Moore is working inside of his little itty bitty box and isn’t willing to venture outside of it. How many cool points does Dayton get here for the shades? So what do we take away from Dayton Moore’s comments today? Well, it seems like Moore is willing to live and die by his constraints. I really hope this doesn’t mean the Royals don’t sign two solid, established starters. I hope this doesn’t mean that they won’t re-sign Jeremy Guthrie. I hope this doesn’t mean that February rolls around and the pitchers competing for a starting gig are a bunch of Volstad’s. More than anything, I hope that this doesn’t mean that they are putting all their eggs into the “well, Duffy and Paulino will be back soon” basket. Sure, they should return in 2013. But you have to look at them as if they will not contribute to the Royals next year. Anything you get from them is a bonus. If they are counting on those two to return, plus Chen, Hochevar and Volstad to improve plus whatever lot of castoffs they acquire this winter, then we are in trouble. Dayton Moore has had over six years to build a rotation that is acceptable at the least. Instead, the Royals rotation looks like the island of misfit toys. At this point, I would take King Moonracer in the Royals rotation. 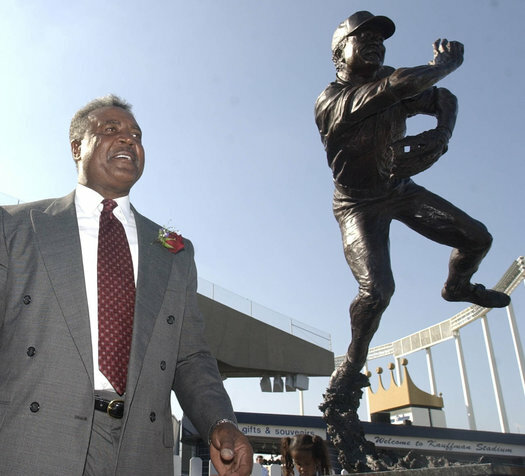 News came out today that Frank White, former Kansas City Royals legend, is getting ready to release a new book. A big selling point for the book is Frank delves into the messy split from this past offseason between himself and the ballclub. You can read a few excerpts here . Most Royals fans(myself included) was not pleased when the team bid him goodbye this winter. But as time has gone on, I now just want it to end. At this point, Frank White just needs to go away. Frank White was one of those feel good stories that we all like to hear about. White went to college in the Kansas City area and when the Royals opened their baseball academy in the early 70’s, White ventured there and got himself signed by the ballclub. White rose through the minor leagues and eventually displaced the popular Cookie Rojas at second base. White was in the lineup because of his defense, as he would win eight total Gold Gloves, six in a row between 1977 to 1982. He was also a five time All Star, and by the mid 80’s had improved his offense enough that he was often slotted into the middle of the lineup. When Frank’s playing days were over, other than a short stint as a coach for the Boston Red Sox, Frank stayed in the Royals organization, floating around in different roles. White would do everything from coaching in the majors to managing in AA. 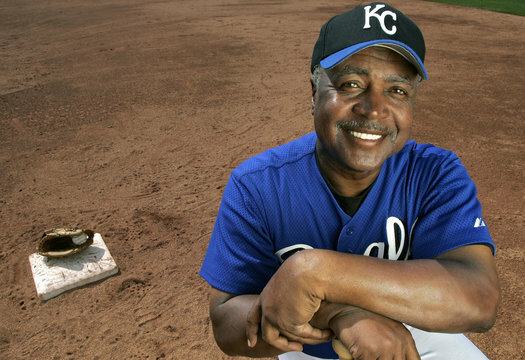 He would also work in the Royals front office in the community relations department and most recently as a color commentator for the Royals TV broadcasts. White was relieved of his duties on Royals broadcasts in December of last year, and that seems to be White’s main source of bitterness. White’s firing wasn’t the first issue between himself and the Royals. After managing three seasons for the Royals AA team in Wichita, White was given an interview for the open Royals managerial job and was even considered a favorite of Dayton Moore during the process. Alas, the job went to Trey Hillman, and White quit managing, feeling that he was ready for the next level. White felt that even though the team interviewed him, they only did it as a courtesy. The truth is Frank didn’t have a lot of experience, which I’m sure hurt his case. White has always seemed to have a sense of entitlement when it comes to the Royals, with his presence in the community and him being fan favorite being used against Kansas City management. White has been notorious over the years for complaining that the Royals weren’t using him in the correct role or making him a bigger part of the organization. This actually even goes as far back as the end of his playing career, as the Royals were letting him go and he “threatened” to go sign with another ballclub. It has been like this, back and forth, since then, but for the most part the two sides needed each other. White is loved by the Kansas City community, a local boy who became a local legend. It has always benefited both parties to work together, and for the most part they have. Unfortunately, White’s firing from his broadcasting job seems to have been the final straw. Frank had started broadcasting for the Royals in 2008, as fellow former Royal Paul Splittorff had come down with a medical condition, that eventually was diagnosed as cancer. White wasn’t the greatest color commentator in the world, but he had been a baseball man all his life, and gave fans the point of view of the player in the game. He would call a play how he saw it, and sometimes even break down plays, explaining why it was either a good or bad play or call. White was gradually improving as time went on, and more than anything he spoke as a true Kansas City Royal. But Frank spoke his mind, and in the end, that is what cost him his job. When word came out of White’s firing, the one thing that was mentioned was his “negative” remarks during broadcasts. Now, you can realistically see this both ways. One, no team wants their broadcasters talking down the ballclub. It just isn’t good for business. But there is an exception to this rule. When an organization has had losing seasons 17 out of the last 18, you can’t sugar coat it to your fans. You need to be honest about the situation, and that is what Frank did. The last thing any Royals fan wants to hear is that everything is great and just grin and act like there isn’t a problem. So for management to drop Frank for him vocalizing this, well, it comes across as short sighted and thin skinned. No one has specifically said who particular in management didn’t like White’s opinions, but Frank believes it is President Dan Glass. It doesn’t really matter who, as much as someone didn’t like it. Add in White leaving his community relations job at the beginning of 2011 due to salary complaints and it seemed like Frank was being unjustly pushed out. Since the firing, Frank has said he is done with the organization and will never return. He has done countless interviews and has publicly denounced the organization over and over. Fans voiced their displeasure with the move, and most never accepted his replacement, Rex Hudler. But a funny thing happened as the year progressed. Frank’s bitterness came across more and more, and some fans felt less and less sorry for White. Some even now understood what the Royals had been putting up with. This fan was one of them. I have always been a Frank White fan. He was one of my favorites early on, and he was one of the key pieces of that 1985 World Championship team. I even have a Frank White autographed ball that holds a special place in my heart. He will always be one of my all time favorites, but I’m finding it harder and harder to justify his complaints against the Royals. They have always treated him as an all time great, retiring his number and even building him a statue at Kauffman Stadium. But that isn’t enough for Frank. I hate to say it, but a lot of his bitterness stems from jealousy. 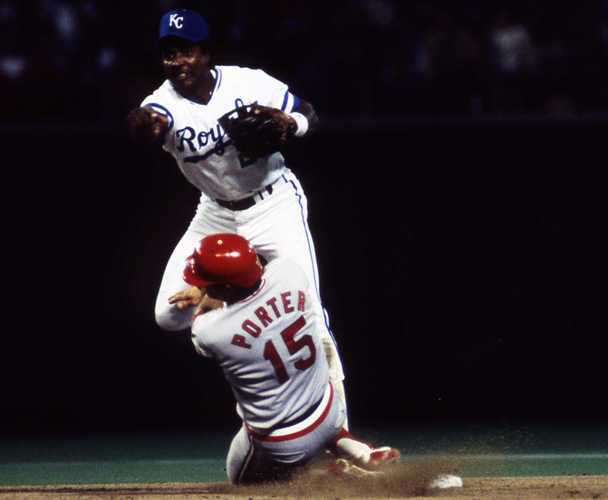 It has been mentioned more than once, but it has always seemed that Frank White wants to be treated like George Brett is in Kansas City. 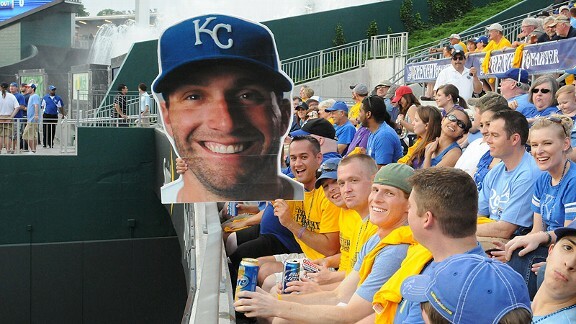 Brett is adored in Kansas City, and it’s pretty simple to see why. He played his whole career in Royal blue and topped it off with a trip to Cooperstown. He was “the man” in his playing days and the fans still treat him as such. White wants that adoration. White wants to be “the man”. But the truth is he isn’t. He was really good, and deserves all the accolades he has earned. But he isn’t a Hall of Famer. He isn’t George Brett. Truth be known, the Royals have for the most part done right by Frank White. But ask yourself this question: has Frank White done right by the Kansas City Royals? At one point, I would say yes. But as time passes, it is looking more and more like White hasn’t done right by the only organization he ever knew as a player. It’s not all about Frank White; it’s about the community, the fans and organization. If he can’t see that, then he should never return. Frank, don’t go away mad. Just go away if this is how you are going to be. A few weeks ago I did a random notes article to go over a few topics around baseball. With a lot of different things going on or being debated, I thought it would be a good time to do another random notes column. So here are a few things buzzing around my skull at the moment. A-Rod, struggling in the playoffs. Again. Not a surprise. 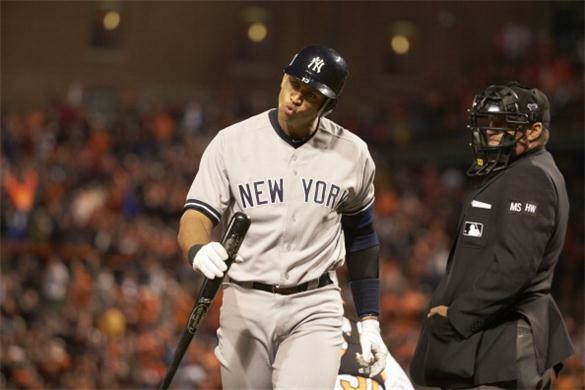 We are firmly entrenched into the League Championship Series, and the Yankees are just a step away from elimination. The bad part for the Bronx Bombers is their offense has gone M.I.A. and it’s not just a few batters. At this point we expect A-Rod to slump, but when Robinson Cano, Nick Swisher and Curtis Granderson join suit, it’s hard to think this team is long for the LCS. Sure, facing Verlander, Scherzer, Sanchez and Fister isn’t an easy task, but the Yankees are making them look even better than normal. Verlander in fact didn’t have his A-game stuff, yet only gave up 3 hits over 8.1 innings last night. A lot of this has been dumped onto Rodriguez, but let’s be honest. A-Rod is 37; he is not able to catch up to fastballs the way he used to. He is in the twilight of his career, so you can’t expect him to be the guy who was polishing up his Hall of Fame plaque in his early 20’s. Either way, the Yankees are one loss away from being gone from the playoffs, and one wonders if there will be a major overhaul with this team come the winter. I can’t lie; I’ve gotten joy out of the Yankees losing in such epic fashion. In some ways, baseball needs the Yankees, as a lot of baseball fans like myself watch to see them lose. There is something to be said to having the evil empire in the playoffs and then for them to fall on their face. 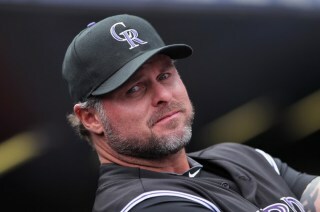 So the Colorado Rockies are seriously considering hiring Jason Giambi as their manager? I think my jaw dropped a bit when I first heard this news, as it just didn’t seem fathomable. I know baseball has been thinking outside the box as of late and hiring managers like Mike Matheny and Robin Ventura, guys who had no managerial experience before their hire. Luckily for both of those teams, those hires have worked out for them. I don’t know either way if Giambi would be a good manager, and a part of me thinks he would, even if it took years before he settled into the gig. But for a franchise that needs a major reboot, taking a chance on someone like Giambi could set them back even farther. It does appear that Giambi has been a good father figure for the younger players in Colorado, and has their respect. But being a mentor in the clubhouse and actually helming the team are two completely different things. I really hope the Rockies organization does their homework here, and if they hire Jason, they hire him because they honestly feel he is the man for the job. If not, it could blowup in their face. This organization can’t afford another major fall back. This decision has to be the right one, all the way around. 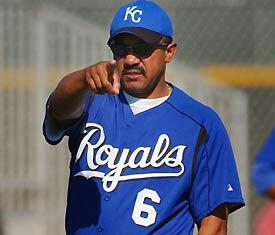 Word came out this past week that Tony Pena is being considered for the Boston Red Sox managerial opening. Now, this can be taken a few different ways. One, Pena has been a coach for the New York Yankees for a number of years now, and it has to be a good baseball learning experience to work under Joe Girardi, who IS a good manager, even if you hate the Yankees. 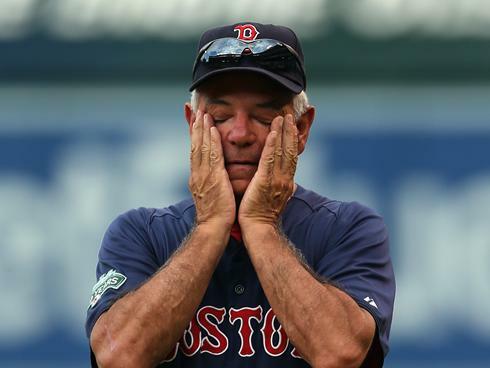 Two, I don’t think it is possible that he can be worse than Bobby Valentine. Valentine was the oil to the Red Sox water, and there was no way that relationship wasn’t going to end badly. Now, when it comes to Pena, i am biased. Pena was once the Kansas City Royals manager, and for awhile he did a really great job. He was able to get the 2003 Royals to buy into what he was selling and that team is the only Royals team in 18 years to come away with a winning season. Pena did a great job working with that bunch, but the next year it came apart. 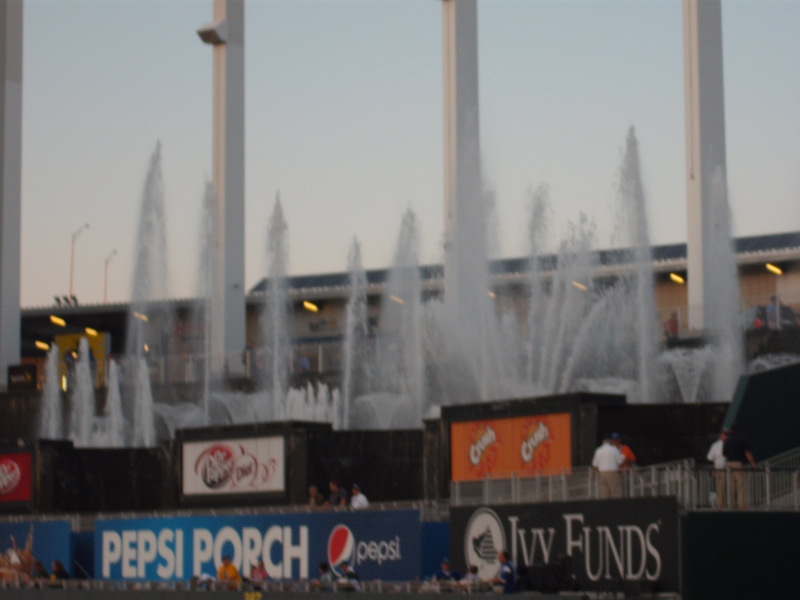 The Royals lost 104 games in 2004, and after the starting the year 8-25 in 2005, Pena resigned. Pena showed that under pressure, he just couldn’t handle it. You would hope that he learned something from that, but if not, Boston is not the job for him. Boston is a pressure cooker and if he got the job, it would be constant pressure from not only the fans, but the media as well. Pena should know that, as he is a former Red Sox player. Maybe Pena has changed and could steer this team back to respectability. Or maybe nothing has changed and Boston could continue to flounder. It might be wiser for the Boston brass to look deeper into Brad Ausmus and Tim Wallach as managerial candidates. The Kansas City Royals have one major need this offseason, and that would be starting pitching. The two main targets this offseason are Anibal Sanchez and Kyle Lohse. Sanchez is currently helping lead the Detroit Tigers into the World Series and so far has been spectacular in the postseason. Sanchez would probably fill in as a solid number 2 or 3 starter on most pitching staffs, but in Kansas City there is a good chance he would a number one. Well, we might never find out, as Sanchez has bumped his value this postseason and might have priced himself out of the Royals price range. To be honest, if it meant signing him for way over value, I don’t think I want the Royals to do that. It’s one thing to pay a bit extra, especially since a lot of players don’t want to go to Kansas City since the franchise has lost so much over the years. But paying extra to a pitcher, especially in a long term deal, could be disastrous. We’ll see if Sanchez is still in Kansas City’s price range, but my first thought is that he is already looking for greener pastures. 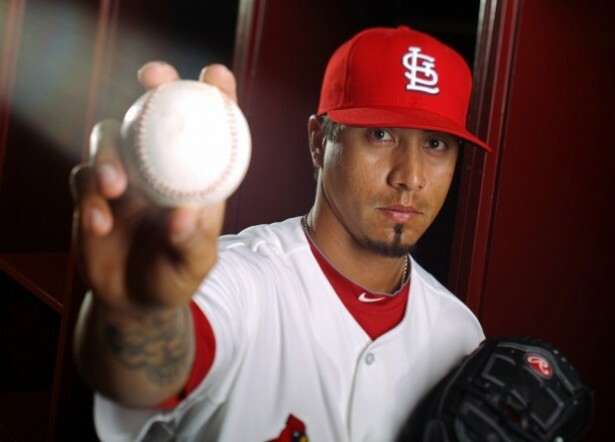 Kyle Lohse is in close to the same boat as Sanchez, at least when it comes to money. Word floated out this week that Lohse would probably net a contract this offseason in the $60-75 million dollar range. Now, I don’t hate Lohse the way others do. 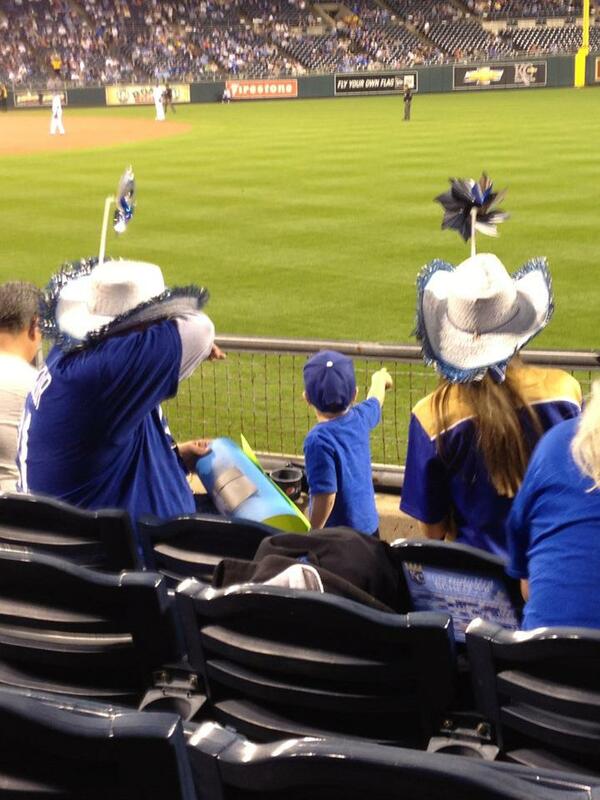 There are a lot(and I mean A LOT) of Royals fans who detest Lohse and want nothing to do with him. I don’t. He seems to be a different pitcher than he was earlier in his career for the Twins and Reds. In fact, Lohse pulled off his best season in the majors this season, going 16-3, a 2.86 ERA, a WHIP of 1.090 and a WAR of 3.9. Lohse has turned into a ground ball pitcher and with the Royals defense and large ballpark, he would be a nice fit. But there are problems. One, who knows if him playing in the American League again would bring back some of his old tendencies. The National League is much easier on pitchers and going from getting a break when facing the pitcher in the lineup to facing lineups loaded from 1 thru 9 on the order could be a rough task. Second, Lohse is 34, I would be very, very leery to give a guy his age a long term deal, and I’m pretty sure that is what his agent, Scott Boras, will be asking for. Lohse is someone that would be a good deal at 2 years for $10-12 million a year. Anything over that seems to be a major reach, which once again could price the Royals out of the market. The Royals actually have a decent relationship with Boras(he also represents Mike Moustakas and Eric Hosmer) but I highly doubt he would give the team a discount in this regard. I as much as anyone want David Glass to spend more money on this team, but you also have to be smart about it. Paying extra for a guy who has a shady past probably isn’t the wisest of investments. I hope everyone is enjoying the playoffs this month. As baseball fans we’ve gotten lucky, as it has been nonstop excitement pretty much from the start. We are not too far away from the World Series(in fact, I think it is a week away)and I really hope we get another seven game series this year. Just remember, we only have a few weeks left, and then no baseball till February. Enjoy it now, folks. We only get this kind of suspense once a year. Back when the Kansas City Royals signed Jeff Francoeur in December of 2010, the one positive of the signing was that Frenchy was a good clubhouse guy. I figured even if he didn’t hit(which at that point he really hadn’t for years) he could at least be a good influence on the younger players in the Royals clubhouse. 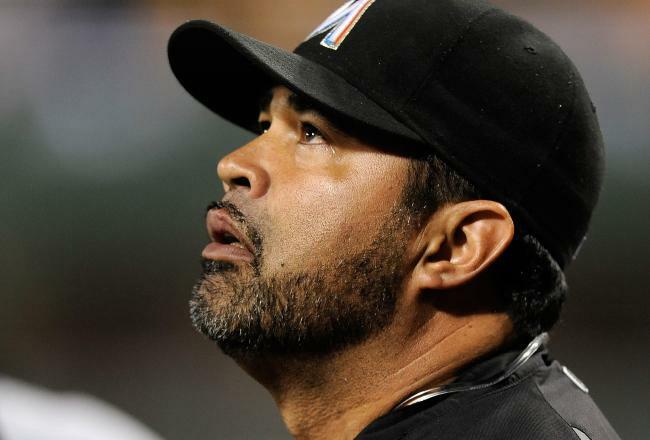 After years of having clubhouse cancer’s like Jose Guillen and Zack Greinke, it would at least be nice to know there would be a guy that could show everyone the correct way to handle yourself. I honestly believe that having good clubhouse chemistry is an underrated part of a baseball team and can push a team farther than their abilities. Just look at the Oakland A’s this season. 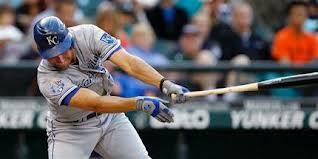 For the most part, it has seemed that Francoeur has been good for this Royals team the past two years. But after last week, I’m thinking he might not be a guy the rest of the team should emulate. To say Francoeur had a bad season might be an understatement. Jeff pulled off one of the worst seasons by a regular player in baseball history, especially for someone who played in all but 14 games. Francoeur slid in almost every category from 2011, but the one stat that really stands out is the 49 RBI’s. For a guy who hit in the 5th spot most of the year, that number is atrocious. Add in a .235 average and a WAR of -2.7 and you can see why Manager Ned Yost penciling Frenchy into the lineup day after day really hurt this Royals team this year. In late July/early August, Yost started moving Francoeur down in the lineup, as he just wasn’t driving in runs,when his main job in the 5th spot in the order is to drive runners in. But this fact is also why Frenchy might not be the clubhouse guy we thought he was. He just needs a longer bat. Last week, the Royals fired hitting coach Kevin Seitzer, laying the blame of the under performing Royals offense on his shoulders. That same day, Seitzer did an interview with 810 WHB radio in Kansas City. His interview is here: Seitzer Interview . 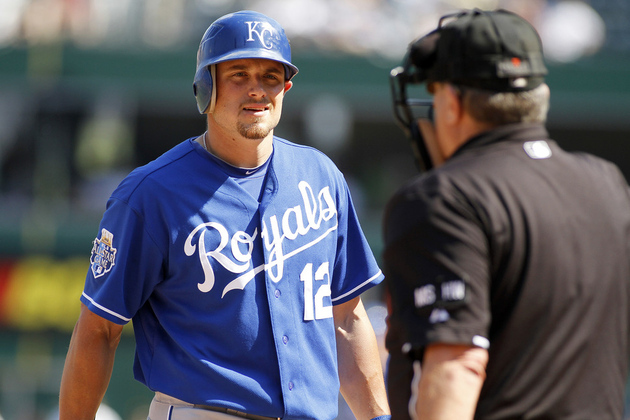 In the interview, Seitzer revealed that back in August, Frenchy went and complained to Kevin that the reason he wasn’t driving in many runs this year was because Royals All Star Billy Butler was batting ahead of him and clogging up the bases, making it hard for Frenchy to knock him in. Because of this, Jeff said he was overcompensating by swinging for the fences, trying to get Butler in from first. Nevermind that Frenchy wasn’t making much contact this season or that in the 26 doubles he had this year, Butler was only on base for 2 of them. God forbid facts get in the way of a good argument. Nope, Frenchy in effect was throwing the team’s best player under the bus. For a guy who is supposed to be the clubhouse leader, this isn’t a trait becoming of someone in that position. In that position, you are to be a shining example for everyone to look up to. Instead, he seems more concerned about personal numbers than the fact that he needed to look in the mirror and see how he was hurting the team with his poor play. After doing some research, maybe we should have seen this coming. Maybe Frenchy wasn’t the stand up guy we thought he was. 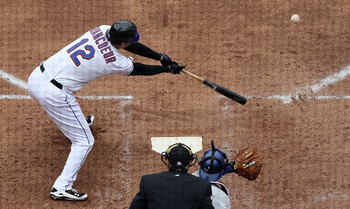 Exhibit A: Francoeur Whines. Or Exhibit B: More Whining. The point is that if you are a character guy, a guy who is a clubhouse leader, you lead by example. You don’t make excuses, you don’t blame other people or situations, and you definitely don’t throw your team’s best player under the bus. Look, being a professional baseball player means you do have some sort of ego. It is almost impossible to not have one, and in some ways it can help you. But if you are a leader, you worry about what is best for the team and that is it. Nothing more, nothing less. Whining that you aren’t getting enough playing time or not driving in enough runs isn’t something a leader does. Your case isn’t helped by hitting .235 and only driving in 49 runs. 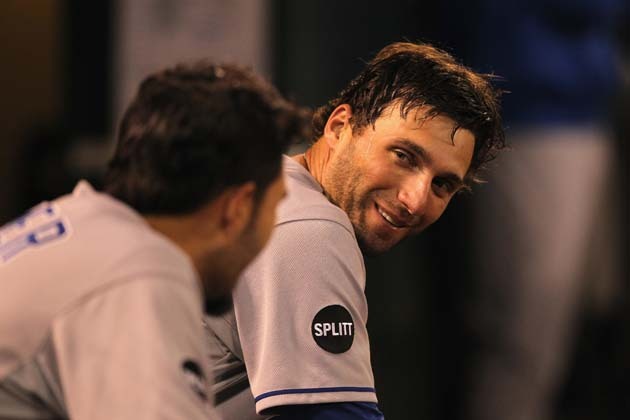 So should Jeff Francoeur remain the clubhouse leader of the Royals? Personally, I don’t think so. I’m sure Frenchy is a great guy to be around, and sure he brings a lot of positives to this team. But there is just no excuse for blaming your star player when you can’t carry your own weight on the field. Up until all this happened, I was ok with Francoeur being back in 2013 and being a mentor to future Right Fielder Wil Myers. Now, I wonder if that is such a good idea. The last thing we need is Frenchy telling Wil that he needs to swing from the heels and swing at everything thrown at him, or just teach any of Francoeur’s many bad habits. At this point, I just can’t trust that Frenchy will do the right thing. For today, I thought i would take a look at a few things going on around baseball. It will be pretty random, to say the least, but this way I can cover a lot of different subjects. With that said, here we go with some random thoughts. 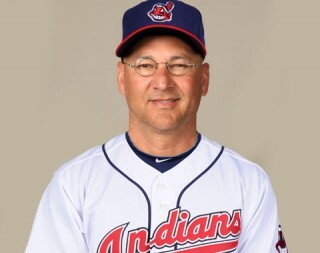 Terry Francona was named Manager of the Cleveland Indians earlier today. Great grab by Cleveland, and with the shape of the American League Central being very weak, it is conceivable that Francona could get this team back into contention in 2013. 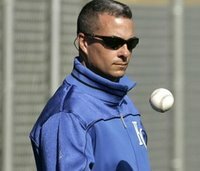 The sad thing for us Royals fans is that Terry could have been at least considered for the manager’s position, but instead we are stuck with Neddaniel Yost. I’ve made it pretty well known of my dislike for Mr. Yost(Yosty, if you are close to him)and would like nothing else than to see him get the ol’ heave ho out the door. Unfortunately, Dayton Moore either has been hypnotized by Yosty’s charm, or Neddy has black mail on him and Frenchy in a lover’s embrace. I really don’t want to wrap my head around the thought that Dayton thinks he is a good manager. I mean, it can’t be that, right? Anyway, Francona sounds like he wanted to go to a team that would have been a challenge(if the Royals aren’t a challenge, I don’t know what is) and he will get that with Cleveland. With the move, it makes the central a lot more interesting and might even bump KC down a level. Great move by the Indians and I can only hope this will wake the Royals up to what could happen if they actually went out and hired a good manager. It became official this weekend: Mitch Maier is no longer in the Royals organization. To be honest, I’m shocked that he was even still with Kansas City, as the Royals had designated him for assignment over the summer and he had the chance to escape then. Instead, he took his assignment to Omaha and finished out the year playing for the Storm Chasers. I’ve said it before, and I’ll say it again: Maier would be a perfect fit for a National League team. Maier can play any position in the outfield, and fill in at Third Base or Catcher if needed. Hell, if you need a mop up guy in the bullpen, Mitch is your man. He can pinch hit off the bench, as he is solid with the bat, and has good enough speed that using him as a pinch runner isn’t a bad idea either. Just thinking about this makes me think Yost dropped the ball with Maier. Sure, he wasn’t ever going to be a starter with the Royals, but Neddy could have used him a whole lot more than he did. In fact, there were times I wondered if Mitch was even still on the team the last two years. If you are on Ned Yost’s bench, you probably won’t see much playing time, unless you are a Getzy or a Frenchy. Hopefully Maier latches on with a team that will use him and appreciate the value of a true fourth outfielder. If you caught any of the Giants/Reds game last night, one of the highlights(for me at least) was seeing Tim Lincecum go out and pitch…well, like Tim Lincecum used to pitch. Lincecum came in out of the bullpen and looked like the Tim of old, pitching like a man pissed off that he was left out of the rotation in the NLDS. Lincecum has had a rough season in 2012, as his velocity dipped and he became a normal pitcher for once. It was nice to see him rediscover some of his velocity, and even when he was struggling, Tim gave a damn about his performance. I remember watching a rough outing of his earlier in the season, and you could tell it angered him that he wasn’t pitching well. He showed that he was ready to try and get his team get back into the game last night, even pumping his fist after a strikeout. Lincecum has too much talent to not come back and show everyone what he can do. Hopefully last night was the beginning of that. Uh-oh…Madden got a hold of the teleprompter! Alright, everyone has had their say on the ‘Infield Fly Heard Round the World’. So here is mine. At first, I hated the call and thought it was horrible. I had a change of heart though after seeing the exact rulebook wording of the infield fly rule. What the umpire did was correct in holding up how the wording goes. Harold Reynolds of MLB Network did a great job of explaining it. 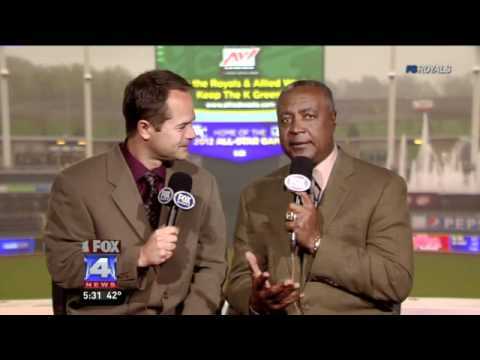 Check out the link: Harold Reynolds explains Infield Fly Rule . Alright, now that you are back, here is the problem I have, and it’s with the wording. First, how you can have an infield fly rule in Left Field just seems preposterous. I mean, a little bit on the grass is fine. But halfway in the outfield?? That just takes away from what the rule is supposed to stop from happening, which is the infielder drop the ball and then try to get a sneaky double play. Also, the Umpire called it really late. 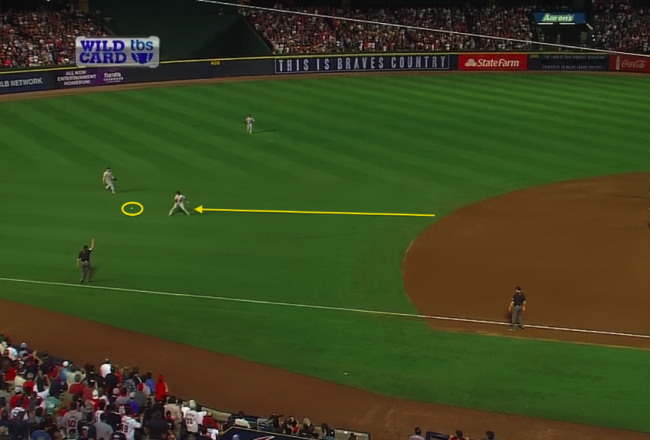 Yes, I get that he waited for Kozma to get planted, but that should have been a sign that it shouldn’t be an infield fly. Either way, maybe there should be some talk about restructuring the rule to where something like this could never happen again. Sam Holbrook followed the play correctly, and followed the rulebook. It’s too bad that with the way the rule is stated that it makes it so controversial. So there you go, some random thoughts. I have a feeling there will be more of these with the playoffs going on. Oh, and since I haven’t yet, here are my playoff predictions. Orioles and Tigers win their division series, while in the NL I’m thinking Cardinals and Reds. After that, expect a Baltimore/Cincinnati World Series with the Reds being World Champs. Or I could be wrong and way off. Actually, I’m probably way off. But if I’m right, expect me to brag. Maybe more than I should. Go O’s!